“Conditioners help restore the natural oils that are removed from the hair and scalp during the washing process,” explains Dr. Kazin. “A nourishing conditioner will help soften and strengthen your hair.” She says to use protein-based formulas and to stay away from sulfates. “Our daily routines and hair treatment regimens can cause hair loss,” says Robert Dorin, D.O., medical director of True & Dorin Medical Group in New York. 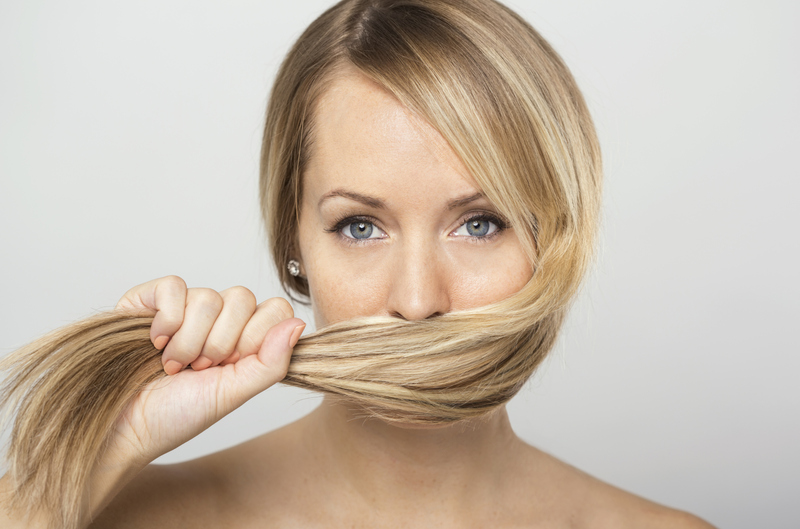 “Although not all of this is true hair loss but rather breakage of hair strands resulting in less volume, pulling and traction on the hair itself can actually cause the follicles to be killed if done on a continual basis.” Yikes! Hair is at its most fragile (and prone to breakage) when it is wet because the protective cuticle is slightly raised, explains Dr. Dorin. “Brushing your hair in the shower followed by aggressive towel-drying is a recipe for breakage.” Instead, he recommends, try this technique: Brush your hair before getting in the shower. Then, don’t vigorously towel-dry your hair by rubbing it back and forth, as this lifts up the cuticle layer of the hair, making the hair rough and dull. Instead, use a superabsorbent microfiber towel, and gently blot your hair to absorb as much water as possible. So, he says, always wash your hair in warm (not hot) water, and do a cool water rinse. “The cool water will cause the keratin-filled cells of the cuticle to clamp down and lay flat, rendering you hair more shiny and ensuring its natural integrity to protect the cortex of the hair shaft,” he explains. Got that? “Heat is extremely damaging to hair,” says Dr. Kazin, so switch your hair dryer to a cooler setting. “It might take longer to dry and style your hair, but it will prevent harm,” she says. The keratin proteins in your hair break down when exposed to UV rays, says Dr. Dorin. “Sun can damage your entire hair, from the cuticle to the end, even causing dreaded split ends.” So wear a hat, ladies! And when you apply sunscreen to your face, Dr. Dorin recommends also using a hair mist or spray that contains UV protection. Scalp conditions such as seborrhea dermatitis, psoriasis and scalp fungal infection (tinea capitis) can suppress hair growth and cause localized hair loss to the region of the scalp affected, explains Dr. Dorin. Definitely see a specialist if you suspect you have one of these issues, because they’re treatable! “In general, antidandruff shampoos, shampoos containing salicylic acid, UV light, steroid ointments and antifungal shampoos will treat these conditions,” he says. A sudden change in diet or starving yourself can lead the body to direct its energy toward the more essential functions (such as helping the heart and brain function), leading it away from making hair, explains Dr. Dorin. Of course, hair loss is only one of the many dangers of this kind of behavior. There are medical issues of which hair loss is a symptom, says Dr. Dorin. A few of the common ones: hypothyroidism, hyperthyroidism, iron deficiency anemia, polycystic ovarian syndrome, discoid lupus and sarcoidosis. The good news: “Most of these, if diagnosed and treated, can stabilize hair loss and see some form of recovery of hair,” he says. Your hair loss is sudden rather than gradual. You are concerned a medicine may be causing your hair loss.